For me, New Year’s is like spring cleaning. It’s the chance to start fresh, to do better and adopt habits that will serve you well throughout the year. Many people aspire to lose weight, be better partners and make a difference in the world. 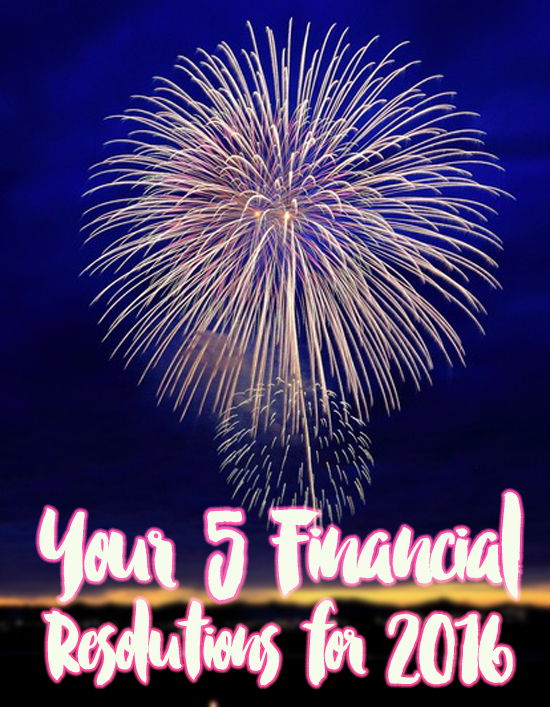 There are also lots of things you can do to make 2016 your best financial year yet. Read below for our tips. Whether you’re looking for a house or fine with renting, you should look up your credit report. The items listed on your credit report are what determine your credit score. Many people have errors on their credit report that are hurting their credit scores. Every year, you’re entitled to one free credit report from each of the three major reporting bureaus: Experian, Equifax and TransUnion. One strategy is to check your credit report every four months; that way, you’ll stay abreast of any changes. If you have bad credit or are trying to get approved for a mortgage, it’s even more important to check your credit report. You want to make sure that any collections or late payments fall off when they’re supposed to. You also want to check that no one’s opened a credit card in your name or that anyone you cosigned a loan for is making their payments. Many of us pay fees on a daily basis. You pay fees when you withdraw money at an ATM, when you pay less than the full balance on a credit card and when you make a late payment on your electric bill. Look through your bank and credit card statements to see when you’re paying fees you don’t need. These can cost you hundreds of dollars a year – money that could be put toward debt, an emergency fund or even a fun vacation with your friends. Set up your bills on autopay, use mobile banking to find in-network ATMs and make sure you have enough funds before you overdraft. You can also try calling customer service when you do receive a fee – many companies will waive it the first time. If you’ve wanted to pay off your student loans or credit card debt, make 2016 your year. But instead of just resolving to be debt-free, create a plan for it. Decide when you want to pay off your loans, how much extra you can put toward them and ways you can find extra money. Your goals should be reachable, but challenging. You want to force yourself to make some sacrifices, while also allowing yourself to enjoy a balance. 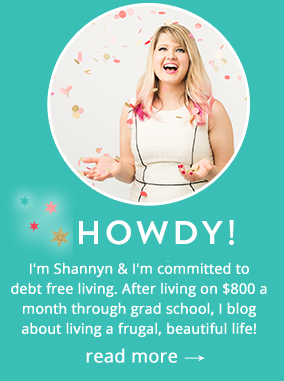 After you become debt free, you can put that money toward other savings goals. Make this the year that you create a budget and stick to it. Whether you create an estimate for each line item or you go by a general rule of thumb, try to create a set of rules for yourself. One method is the 50/30/20 rule. It says that you should spend 50% or less on needs, 30% or less on wants and 20% or less on savings and debt. That’s a good strategy for people who want to be financially savvy, but aren’t detail-oriented enough to track all their expenses. Websites like Mint and You Need a Budget can help set up a budget for you and input all your transactions. One of the best things you can do for your future self is to set aside money for retirement. Whether you have a 401k through your employer or your own IRA, committ to saving between 10-15% of your salary toward retirement. If you don’t have a retirement account, consider choosing a target-date fund or index fund to invest it. Make sure to keep your portfolio diversified, so you don’t have all your eggs in one basket. You know me — already have my 2016 goals written down in my Evernote app! I’m so type-A I can’t even help myself!! One of the habits that I do always do (not necessarily a goal) is to check my credit reports and score in January every year. Especially as someone who doesn’t use (and never has used) a credit card – I want to make sure everything is in tip top shape! I think checking your credit report is the one thing that people often forget to do. It’s super important though. Good reminder! The last two are definitely on my 2016 financial resolutions! Budgeting has been on the list for a couple years now.